Our customer wanted to create branding for his new dental office, and he asked us to create a design with his logo, his branding photo, and a photo of black paneling that would save him the trouble of installing paneling above and below the photo. Here’s how it turned out- quite well I think! 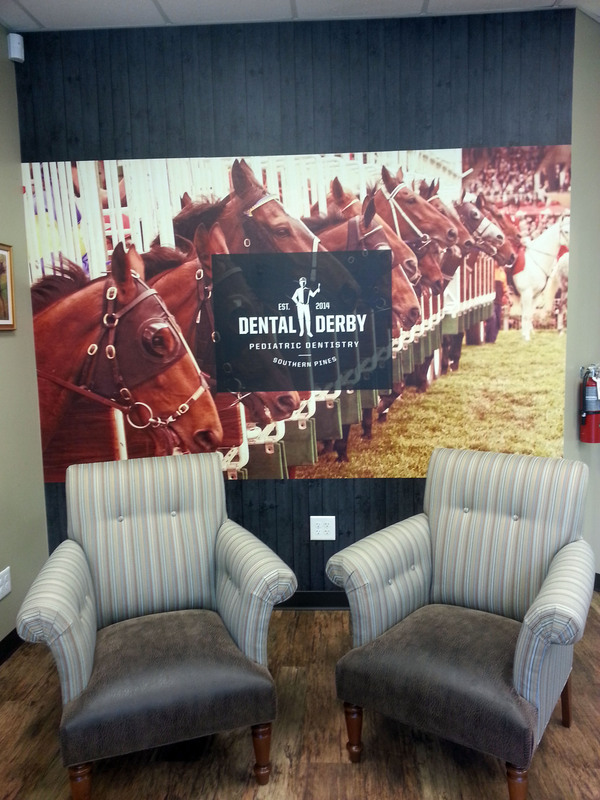 Branding is so important to a business, and a custom wall mural sure helps you to do that. You can either send us artwork ready to print, or have our designers do the layout. Either way, you’ll get something that looks great and makes your office special! This entry was posted in custom wall murals and tagged dental office wallpaper, medical office wallpaper, medical wallpaper. Bookmark the permalink.